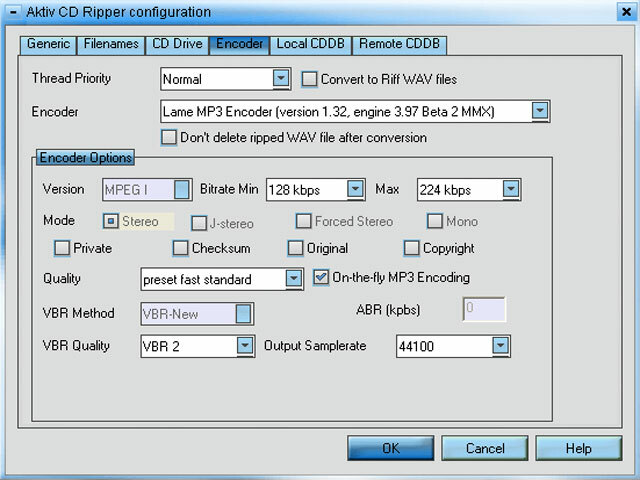 Aktiv CD Ripper is a great tool for creating direct digital copies of all your audio CDs and saving them as various popular formats including MP3s, WMAs, OGGs, or WAVs. The software is extremely easy to use and will allow you to compile your favorite artists and albums faster than many of its kind! You will be able to copy your CDs and save your music collection on your hard disk with as little effort as clicking a button. The application has an intuitive main window which is not only attractive, but also very functional, displaying large, clearly labeled icons for all actions. Due to a powerful sound engine, Aktiv CD Ripper extracts at a high speed and quality. The program supports Freedb and ID3 tagging which means you are able automatically download CD track information and save them in the encoded file. 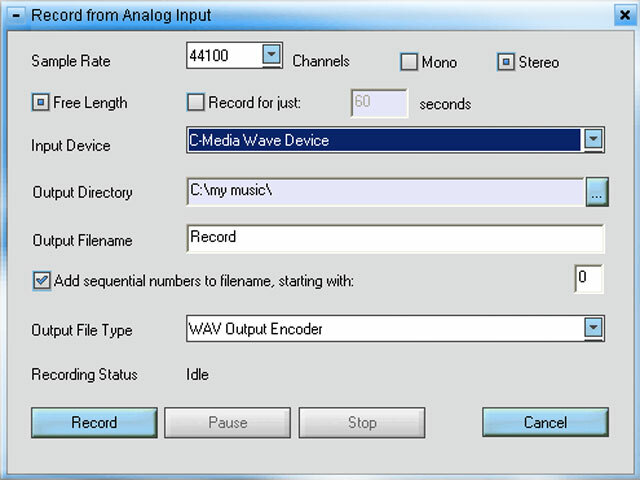 You can also use Aktiv CD Ripper to convert WAV files to MP3, WMA and OGG files and you have the possibility to choose between speed and quality by making some changes to MP3, WAV and WMA settings. Aktiv CD Ripper allows the multi-threaded operation of copying a CD and making mp3 files simultaneously. Aktiv CD Ripper includes a small Media Player and playlist editor so you can play those tracks right away and have a more enjoyable ripping experience. 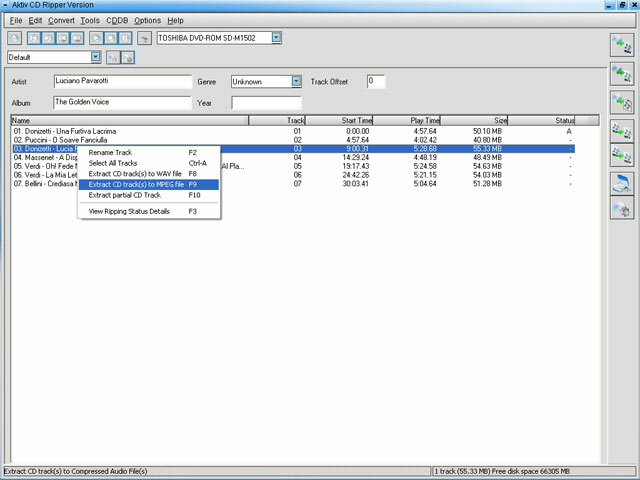 The player can function independent of the main Aktiv CD Ripper ripper app. The main window also includes a playlist. You can add files by either dragging and dropping files into the Aktiv CD Ripper player window, or by selecting the “Select Files” button located on the toolbar. 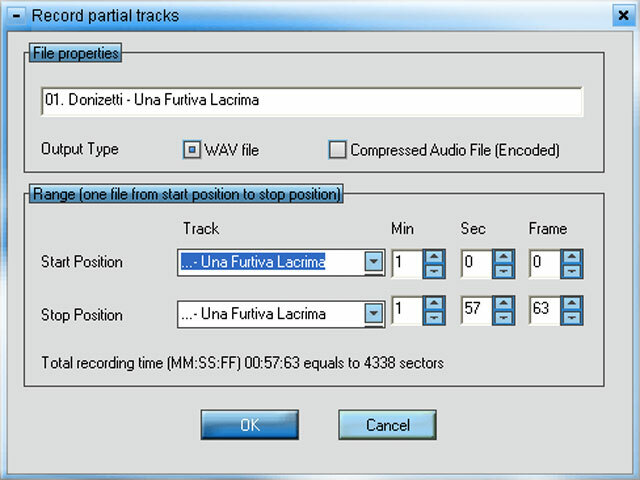 This tool can rip files through the space-efficient VBR compression method and offers built-in, solid, resourceful recorder. Aktiv CD Ripper also supports the Ogg Vorbis encoder. The DLL is included with the Aktiv CD Ripper distribution and you are allowed to specify the following items: quality, minimum bit rate, nominal bit rate, maximum bit rate. Overall, Aktiv CD Ripper is a feature-rich and easy-to-use utility, perfect for CD grabbing and audio conversion. The software is CLEAN from any malware! Supports MP3, WMA, OGG, or WAV formats. Intuitive and functional graphic user interface. Supports Freedb and ID3 tagging. Multi-threaded operation of copying a CD and making MP3 files simultaneously. Includes Media Player and playlist editor. Supports the Ogg Vorbis encoder.